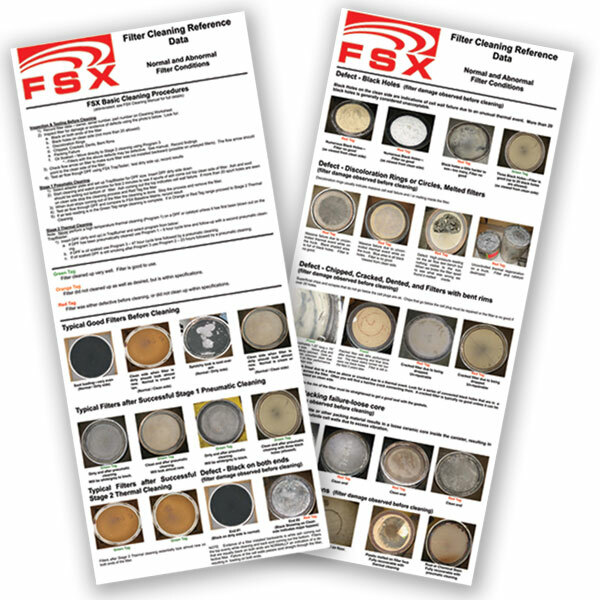 The FSX Inspection Charts are a set of two posters that are an essential tool to learn how to identify bad DPFs. These charts come included with the FSX Complete Cleaning System. Order your FSX Inspection Charts Today!